Manage to get this box i got when they happened to restock a few of the older boxes! There were limited stock and pretty much i refreshed the page again and it became 'sold out' again. 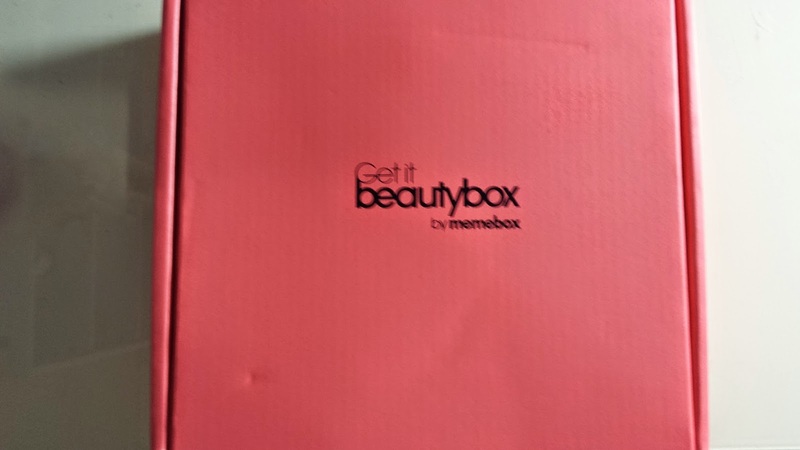 Wanted to get this box as i had Memebox #5 and Memebox #7, but no Memebox #6!! There are 2 sprays/mists in this box! 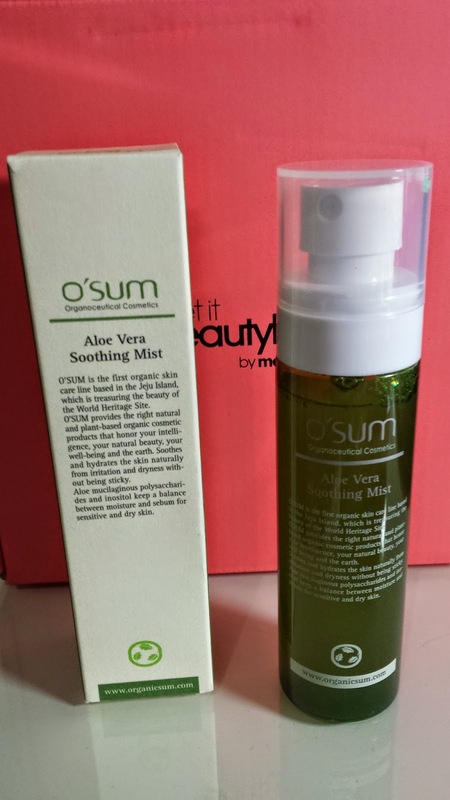 This soothing mist is appropriate as an before or after makeup mist - holding your make up for longer as well as giving long lasting hydration. It also calms your skin. It's great that this is appropriate for over your make up as well, similar to the evian facial spray that i've been using. I use it pretty much every day after i put my make up on. This product costs US $15. For those that haven't seen foot masks before, it's simply like a sock which you wear for 20-30minutes after tightening the opening of it. After that, you take it off and it should give you a moisturising and replenished feeling. 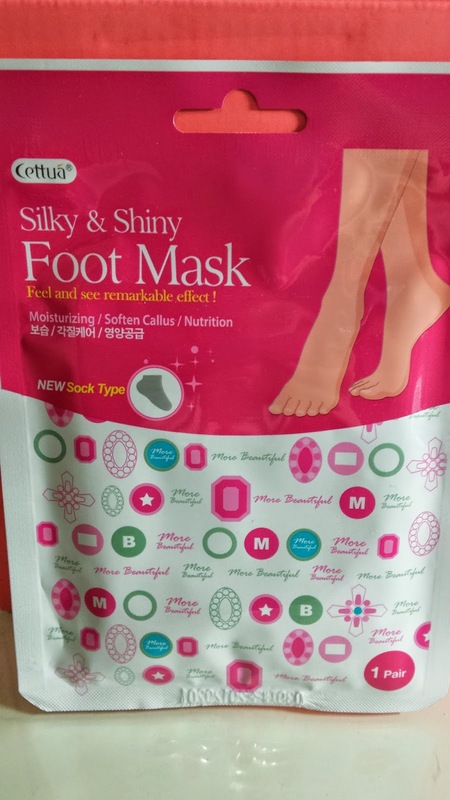 This is pretty similar to the usual face masks, yet for your feet. Quite interesting though as the feet rarely gets a mask! Time to spoil your feet and give it a rest from all the daily walking :) This is worth US $2.50. Yayy! 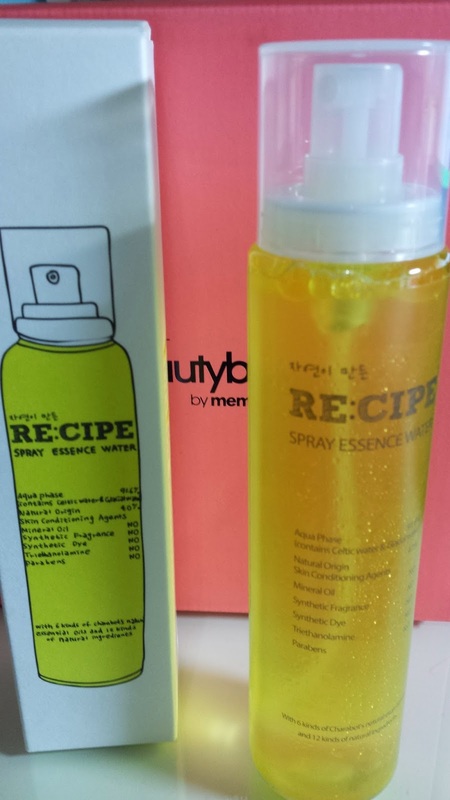 I love Recipe by Nature products, one of the reasons why i got this box hehe :) This spray however is not for setting make up, but for your cleansed skin - both hydrating and nourishing. With such adorable packaging, how can anyone resist this! This is worth US $35! 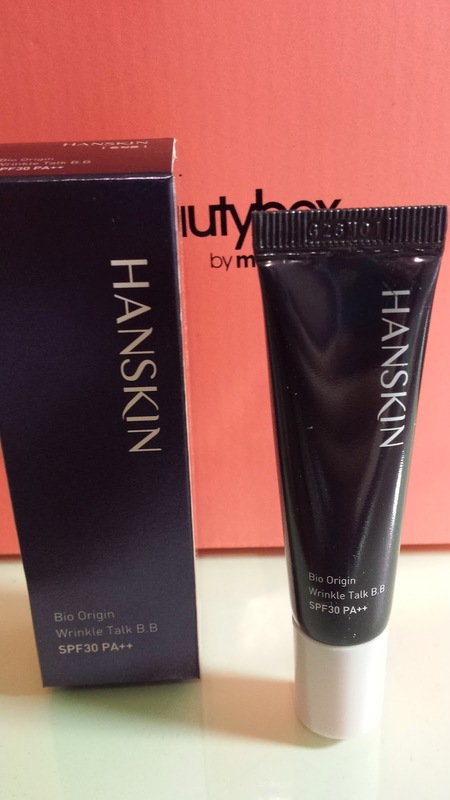 A sample of Hanskin's BB Cream with great sun protection and coverage of uneven skin tones and blemishes. Guess i will have to try this out and see whether that is true. A pretty good size bb cream sample that you can take on travel as well. The full product is 40ml and sells for US $39. This is actually quite a big sample of whitening lotion. The full size being 120ml and selling for US $26. This is shaped like bb or cc cream and nearly got me confused haha. With white packing, it aims to do exactly what the colour indicates - whiten! Yes Yes Yes~ Hair products ^_^ And this is exactly the type i need, treatments for my hair ends after washing and drying my hair. 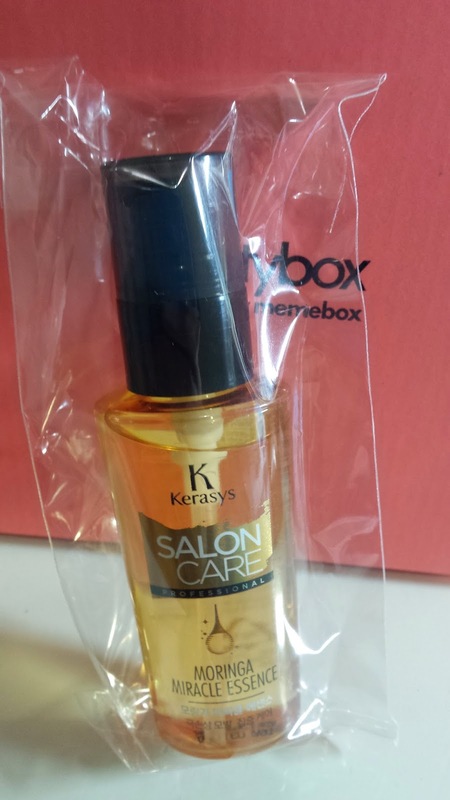 This looks exactly like my Pantene Pro-V Intense Damage Repair Oil and i think it works the same way. Hoping that it smells as nice! Full size product which is worth US $13.50. Such great value to be able to get this product inside this box. 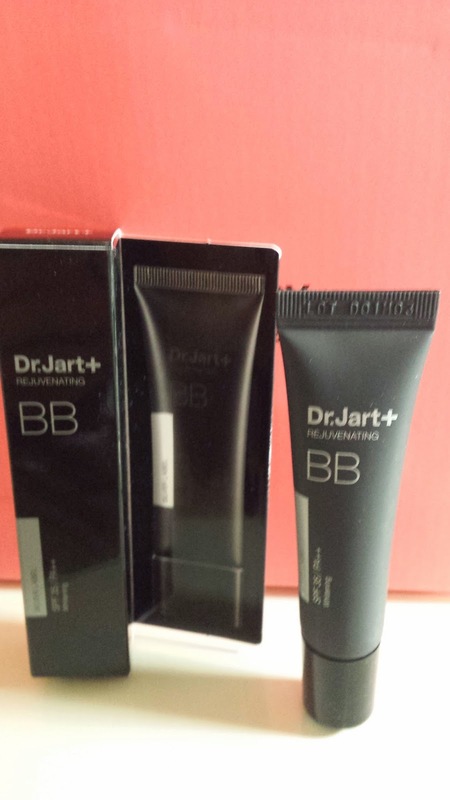 Small 8ml sample of Dr. Jart + BB Cream. Heard a lot about this product and excited to try it out. 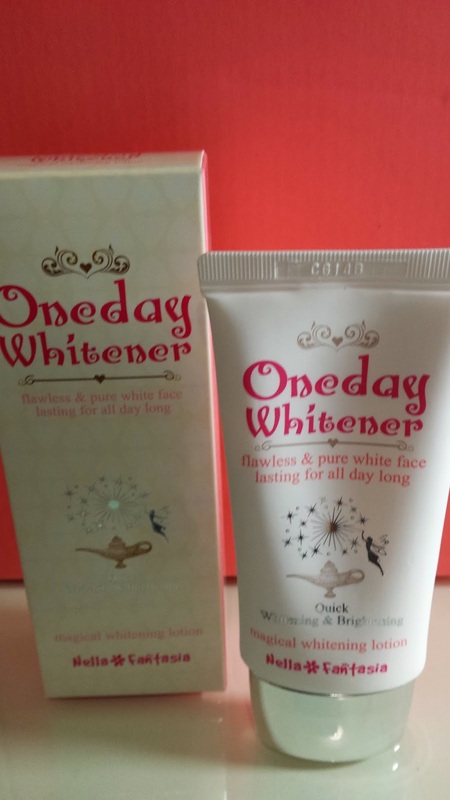 This one is the silver label one which focuses on whitening. There are several types in their line, but haven't had the chance to try it out yet. It sells for US $50 for a full 50ml. 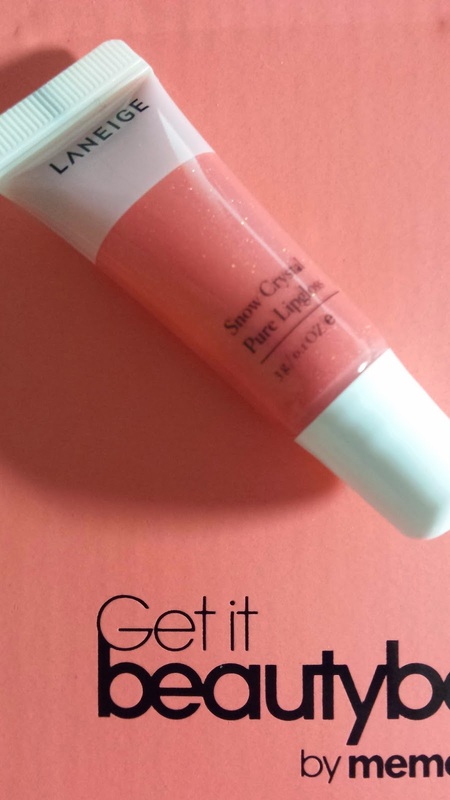 Cute lip gloss! Love the colour and the glossiness! It even sparkles!! So pretty ^.^ and Laneige is a brand i know, known for their hydrating products. Really cute and looking forward to using this :) Full size lip gloss of 5g is US $20. This is definitely one of the better boxes! 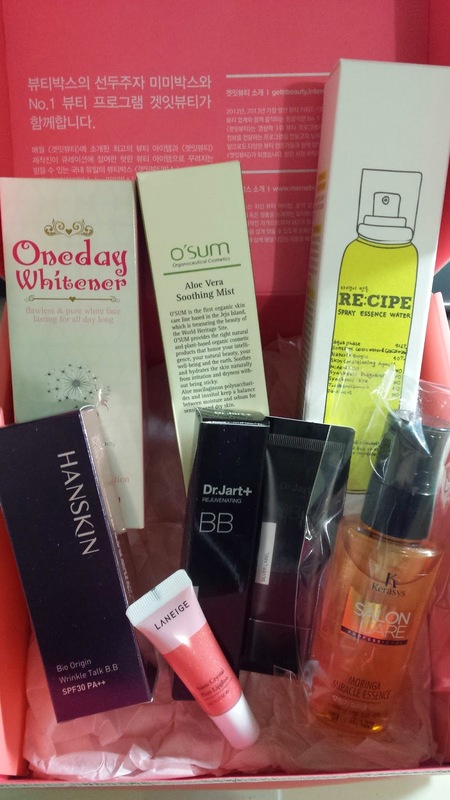 Having 4 full size products, this memebox is definitely worth it;s value (US $23 + US $6.99 shipping). I love how there are mists/sprays, creams, bb creams, masks and lipgloss all in one box. Hoping that future memebox will be this good and that they can include more eye products (eye shadow, eye liner), lip tints, blushes and powder! Really glad and lucky to have been able to grab one of these boxes!